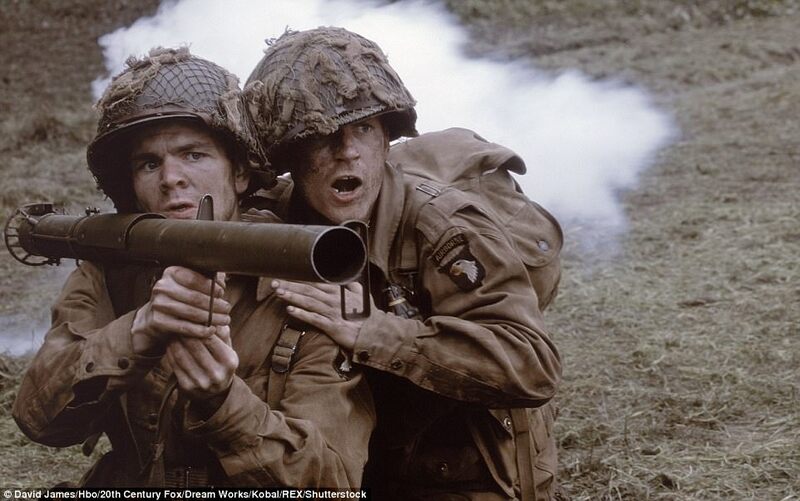 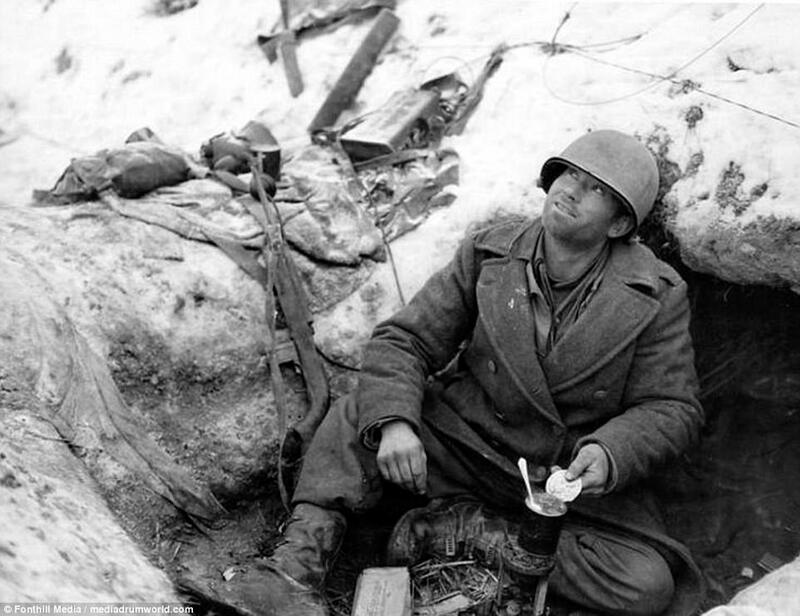 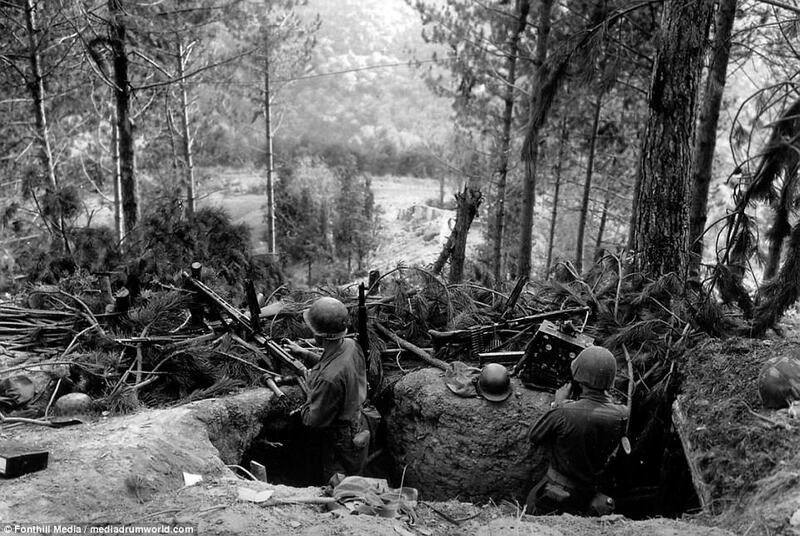 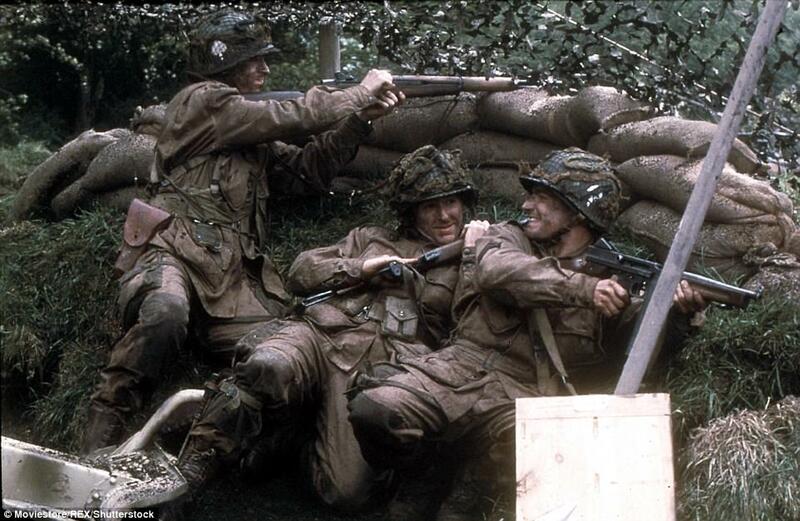 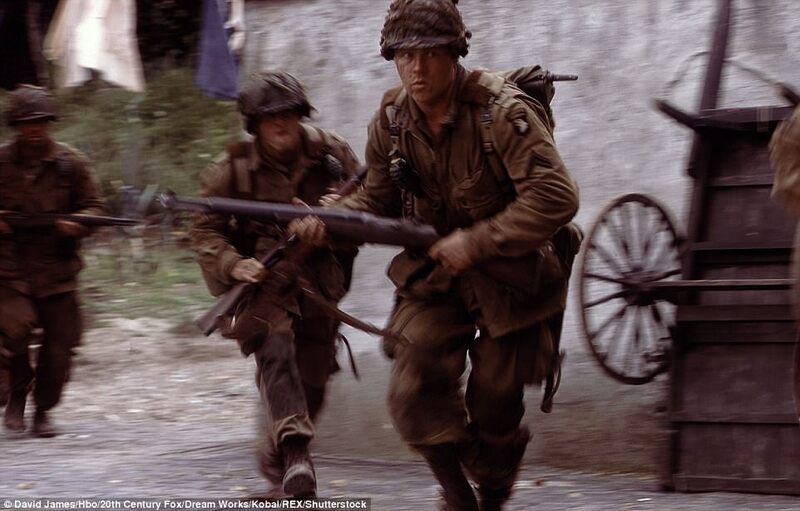 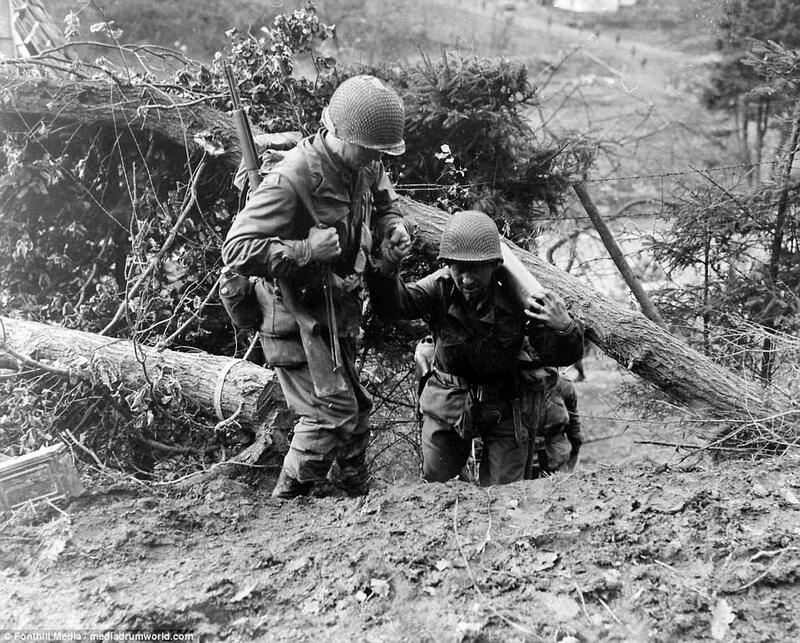 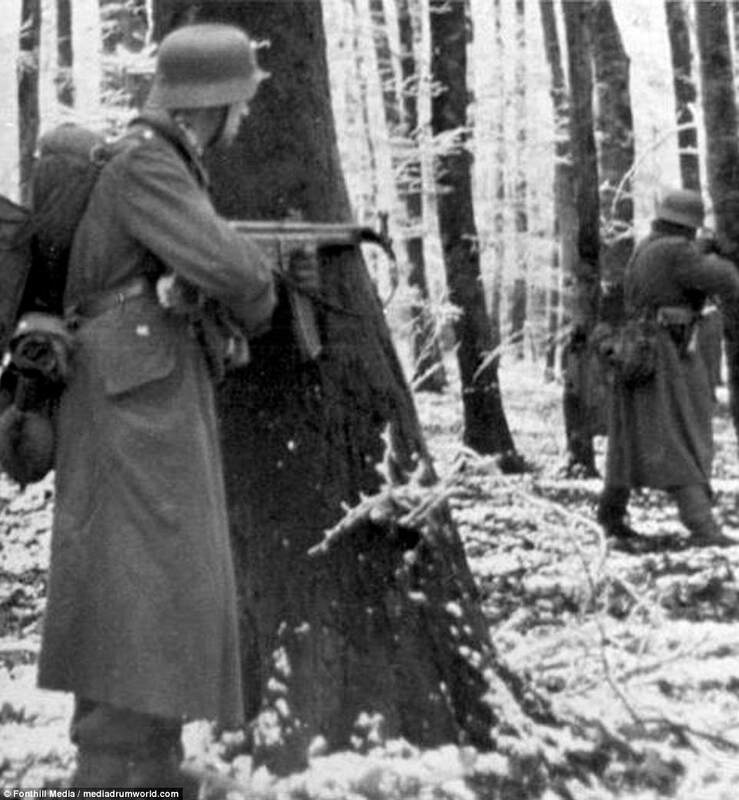 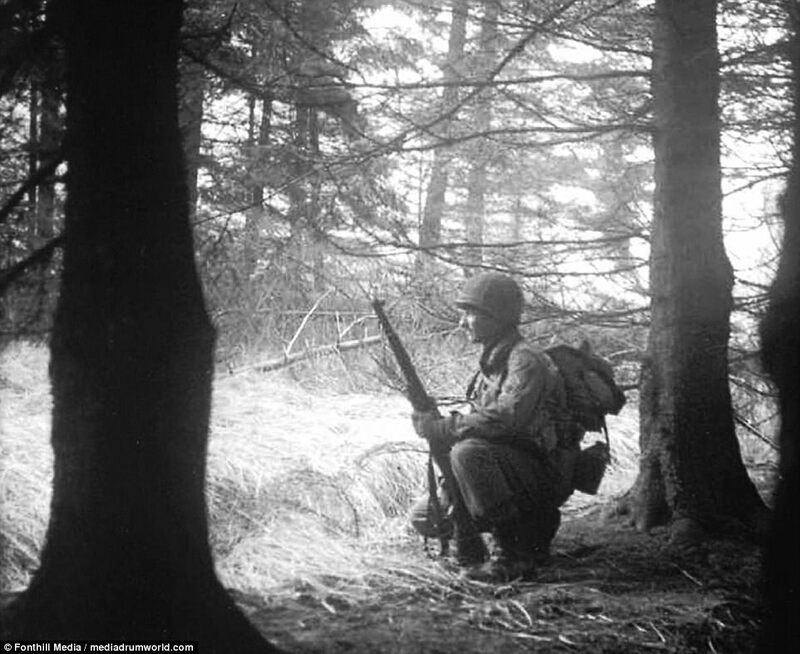 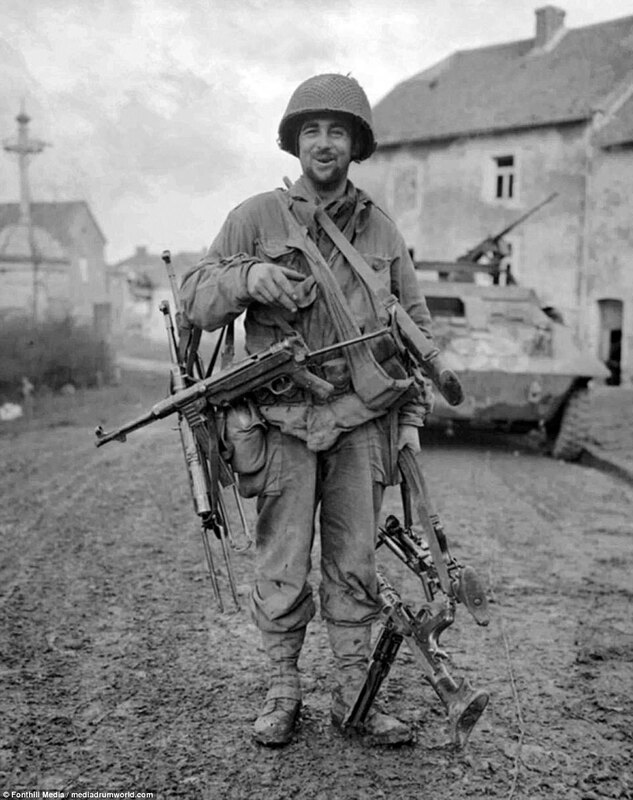 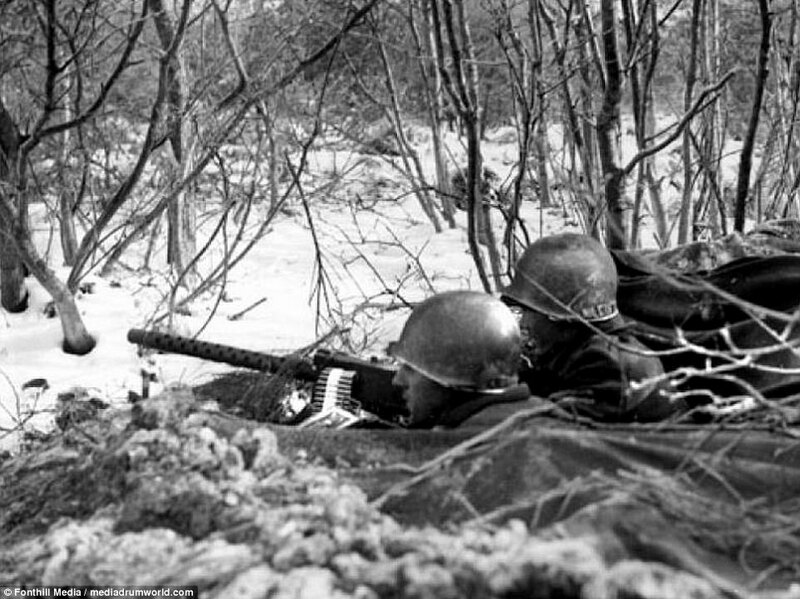 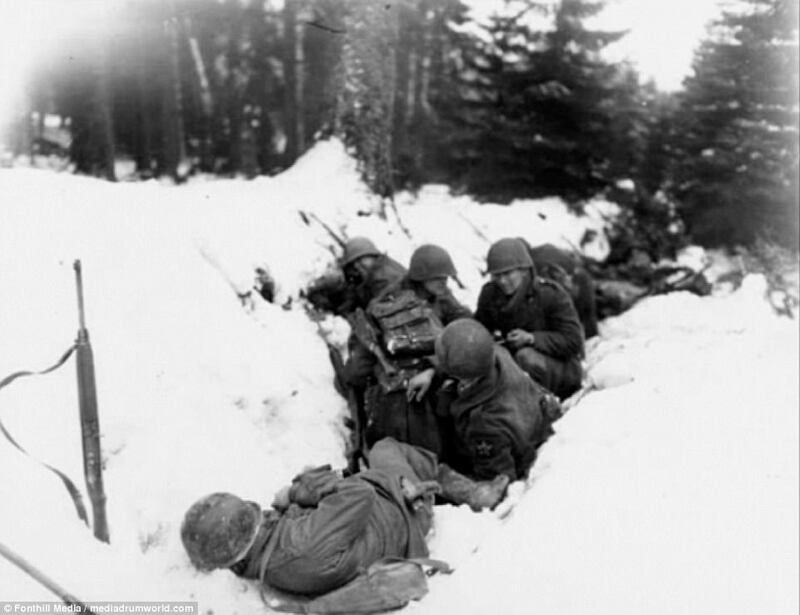 The images are found in a book called The 110th Holds in the Ardennes by Walter S. Zapotoczny Jr, which tells the tale of how the 110th infantry 28th division held a line through the Ardennes forest against Hitler's army. 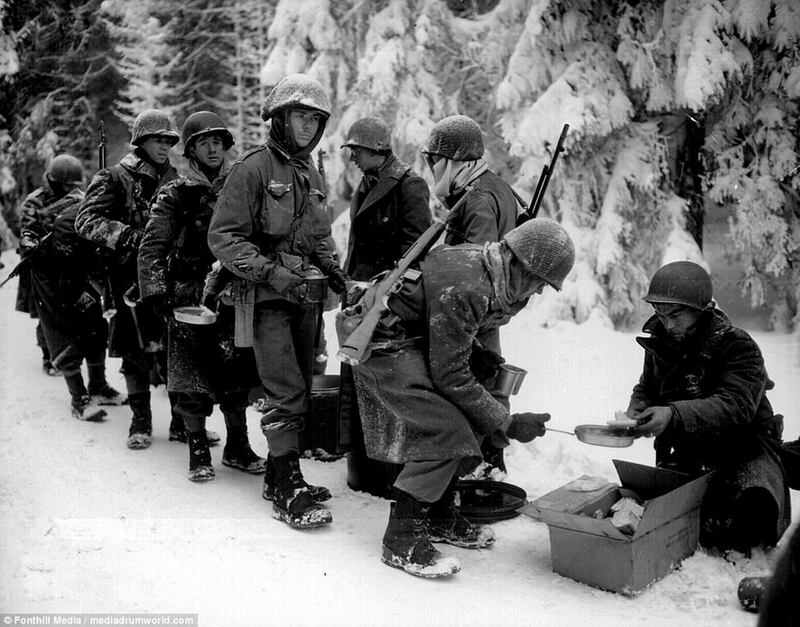 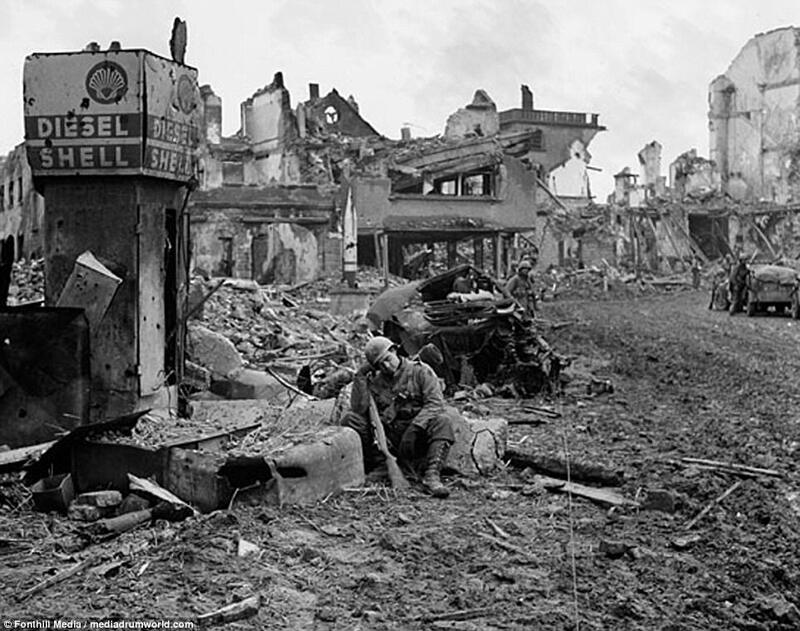 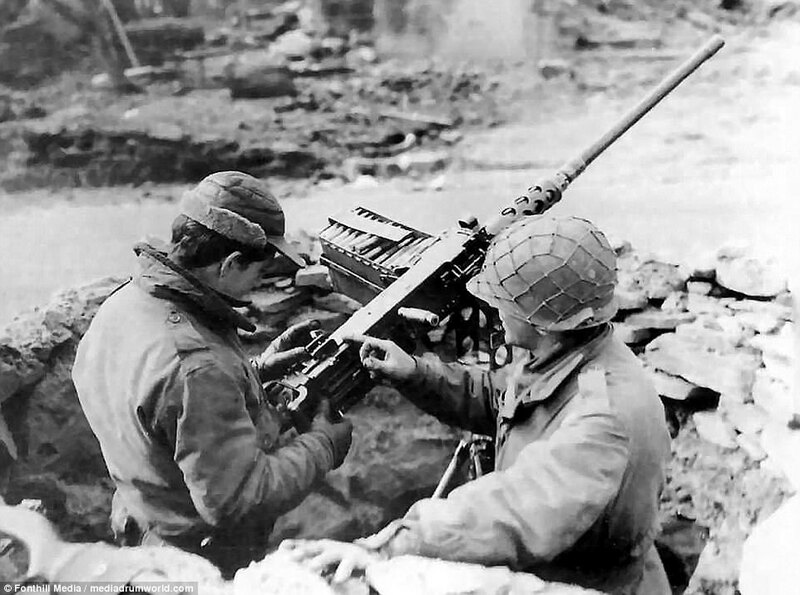 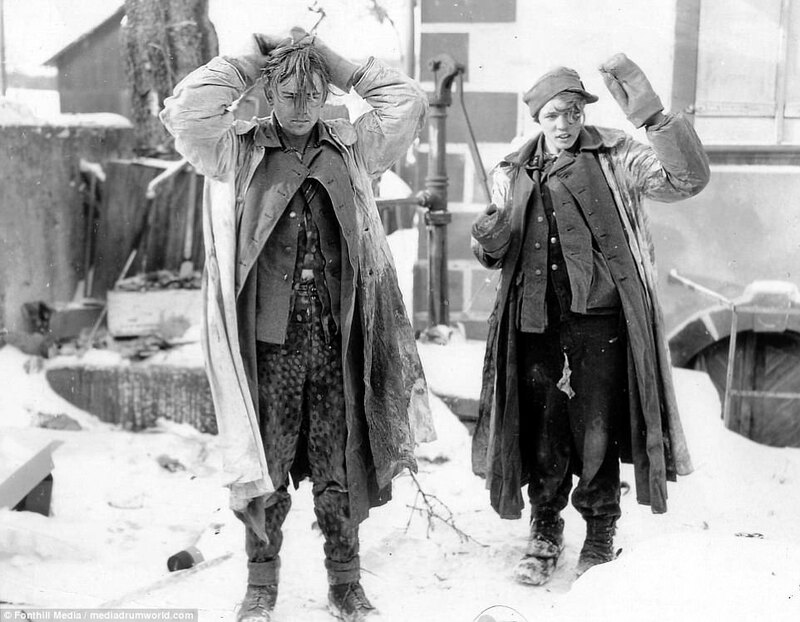 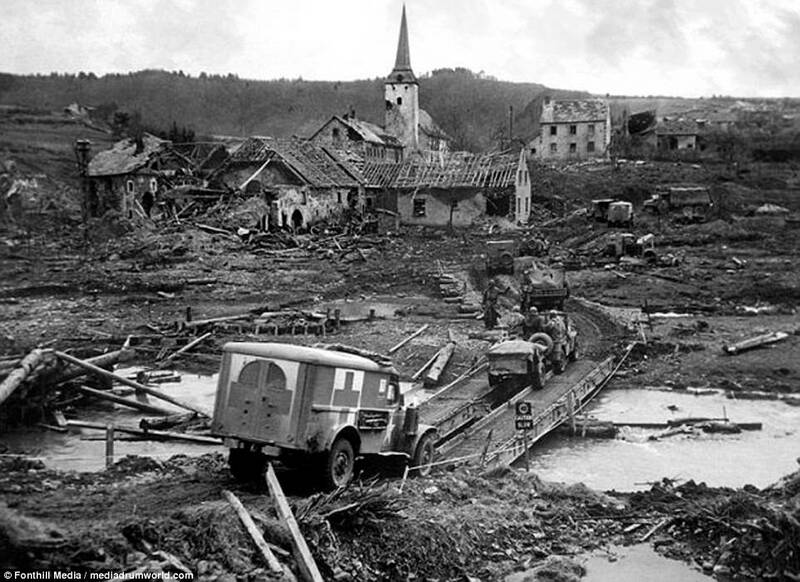 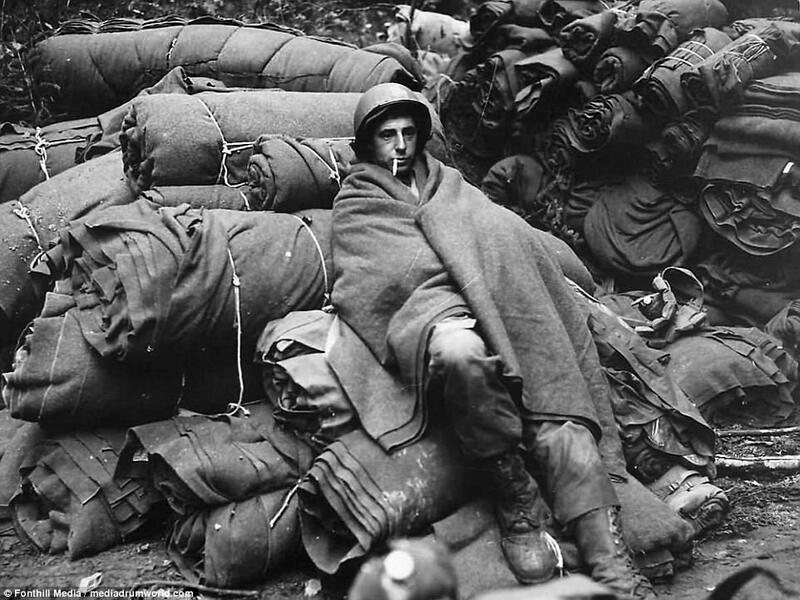 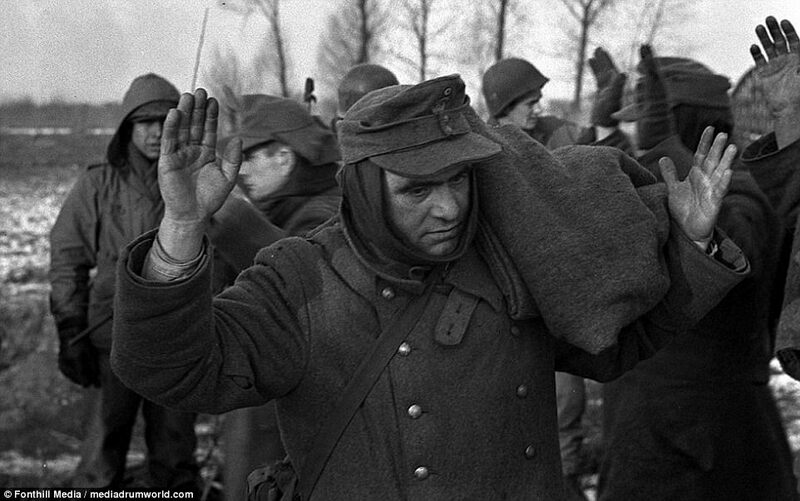 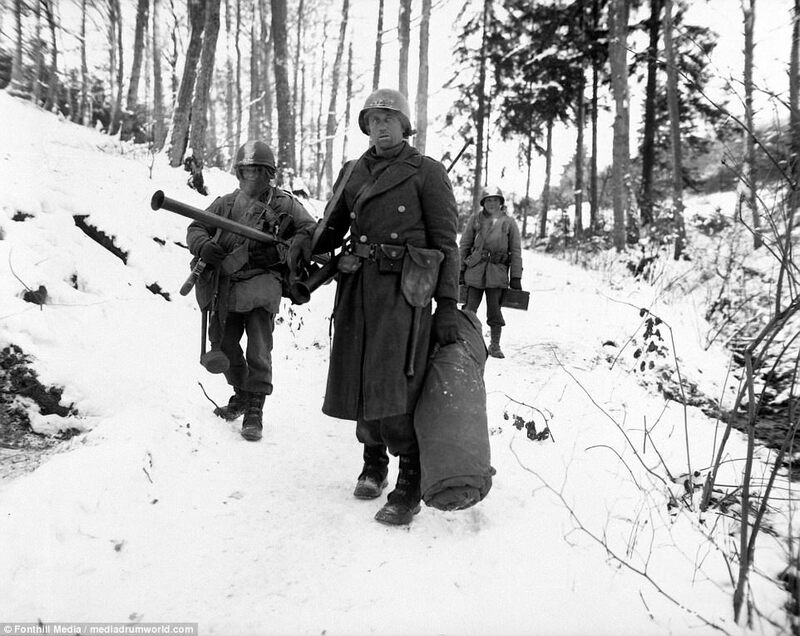 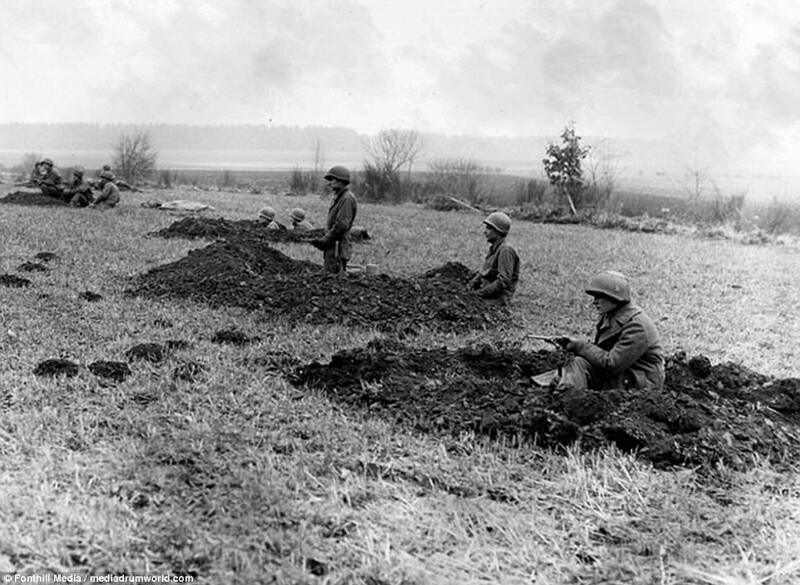 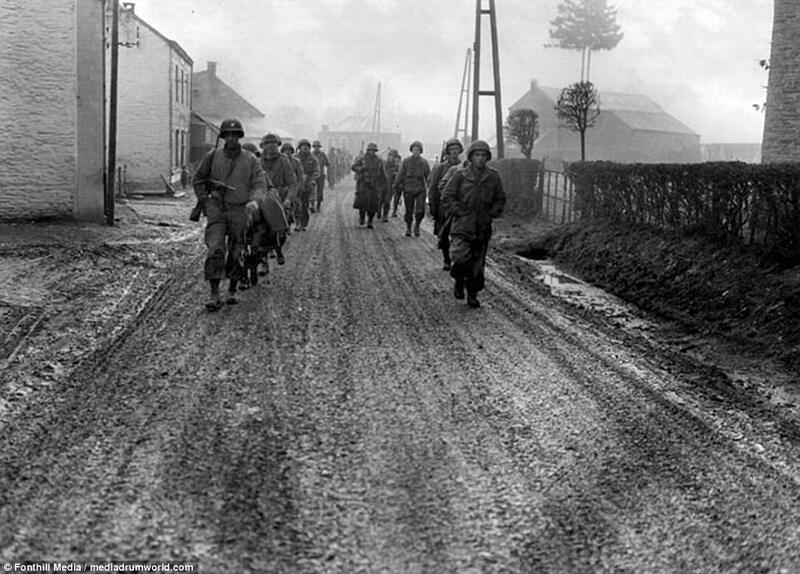 The American troops besieged in Bastogne held out. 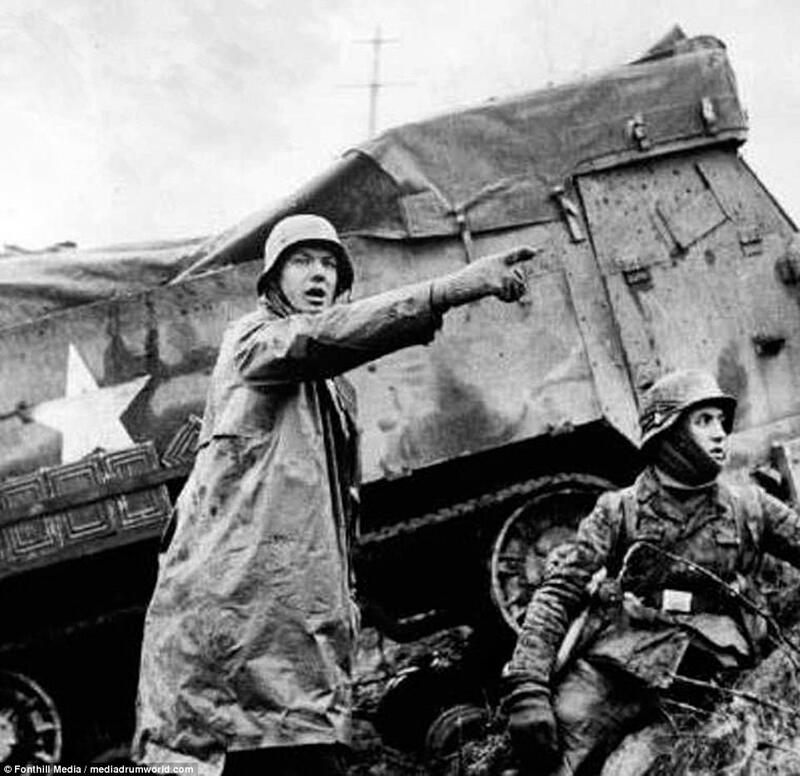 When on 22 December the Germans offered their commander, Brigadier-General Anthony McAuliffe, either surrender or annihilation by massed artillery, his celebrated reply was 'Nuts! 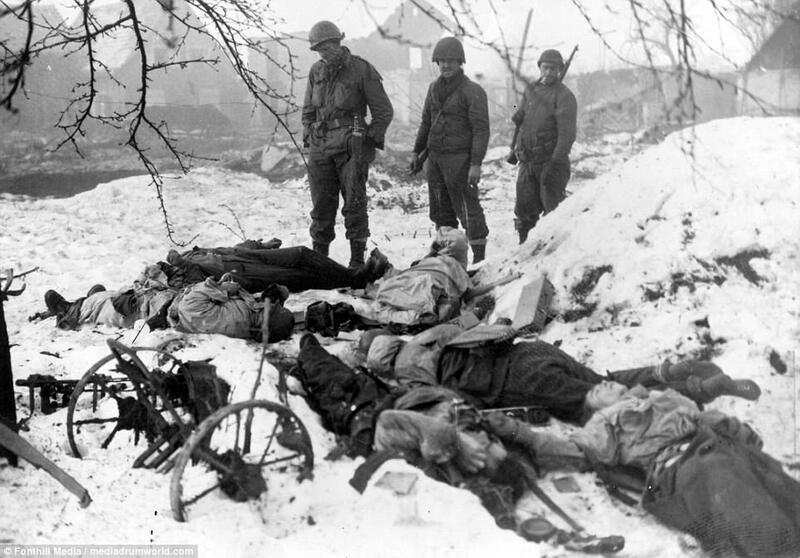 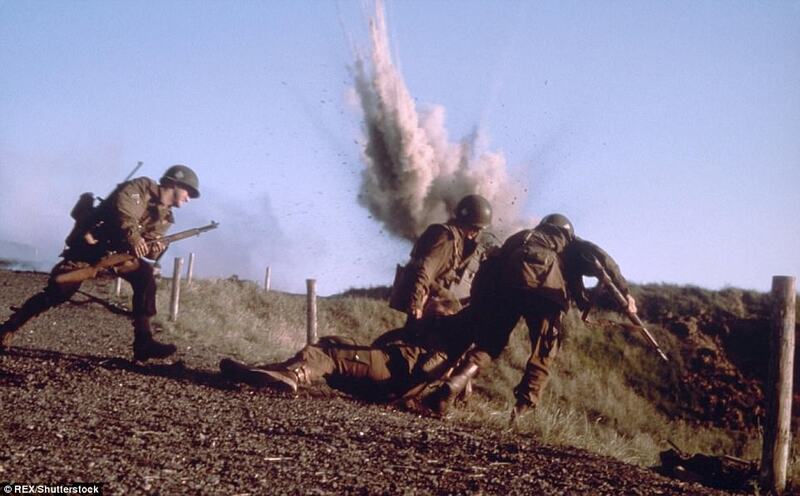 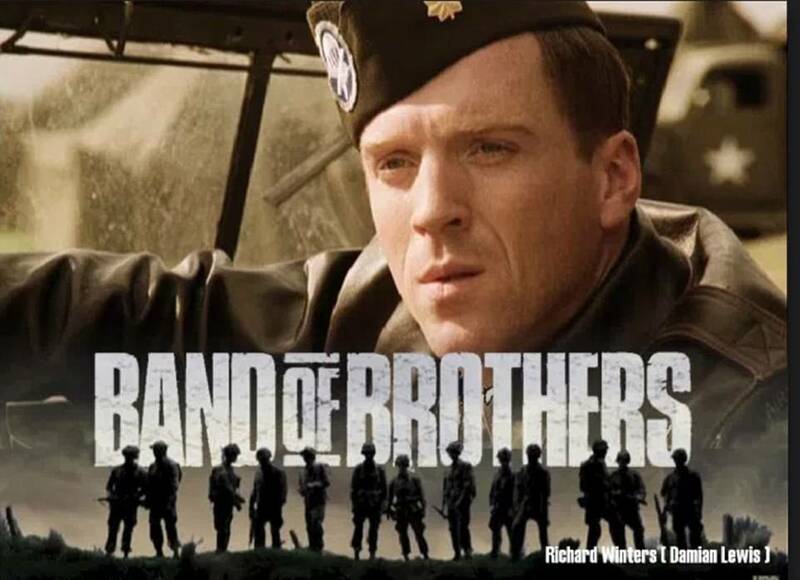 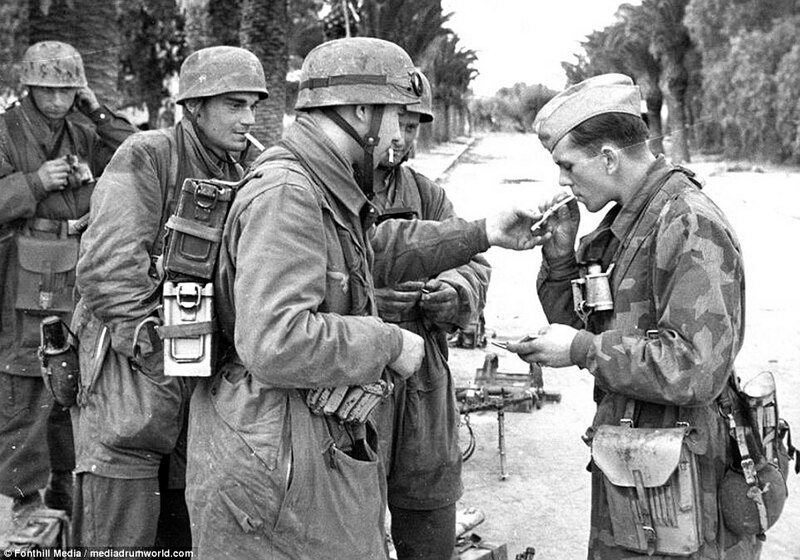 As Patton said: 'We fought the wrong bastards."